Dianthus cruentus is a stunning ‘Sweet William’ perennial species native to Turkey and the Balkan Peninsula, where it grows best in soils that are dry to moderately moist and neutral to alkaline in nature. Dianthus cruentus has simple leaves. The leaves are arranged alternately along the stems, they are lanceolate with entire margins and grey-green in colour. The foliage is persistant in winter. 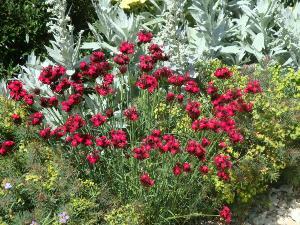 The flowers are many-petaled and blood red in colour, an unusual colour in Dianthus species. A really lovely species sometimes referred to as ‘Feld Pink’, ‘Field Pink’ or ‘Blood Pink’. 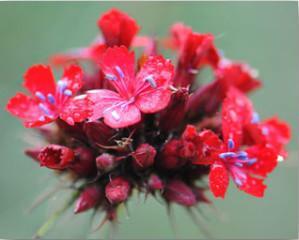 The plants bloom from June to July and the perennials grow to a height of approximately 70cm. A really lovely species, sometimes referred to as Feld Pink, Field Pink or Blood Pink, This species was shown and won great admiration at Chelsea Flower Show in 2011 within the Cleve West designed Daily Telegraph Show Garden which went on to win Best in Show. 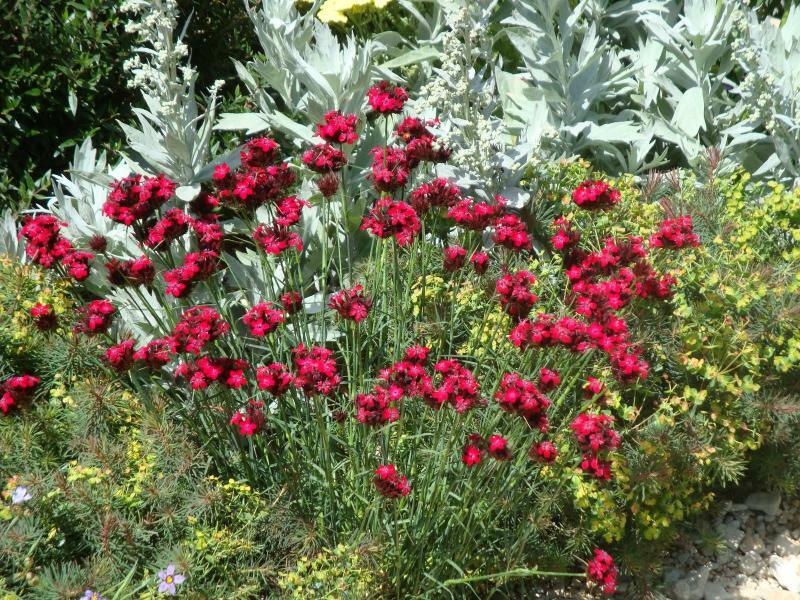 Dianthus cruentus prefers a sunny site and can withstand temperatures down to -17,7º C. It grows best in soils that are dry to moderately moist and prefers neutral to alkaline conditions.